We Accept Cash or Credit Cards with Special Financing Available. 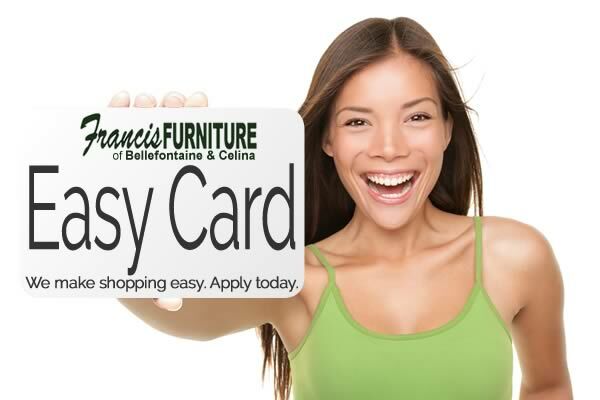 At Francis Furniture, we want to make your shopping experience as pleasant as possible, and that includes offering a variety of payment and financing options to suit your specific needs. Whether you are looking to make monthly payments to buy your furniture over an extended period of time, or you’d like to take advantage of our exclusive special financing offers to save by postponing payments, we have the solution for you. Make sure you ask for an easy to fill out application when you visit our store. * Financing is available with approved credit. See store for details.